← Gods of Nabban is out! Standalone or Series? Where does Gods of Nabban fit? Sooooo . 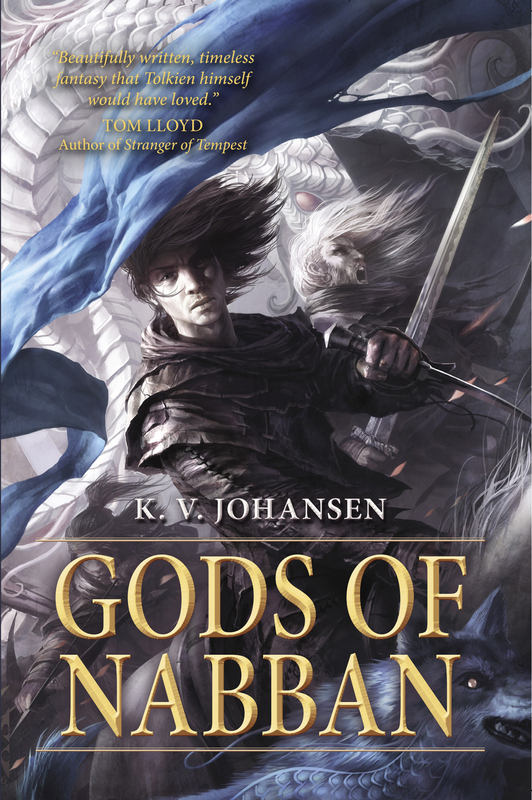 . . is Gods of Nabban a standalone or fourth in a series? Enquiring minds want to know. I think of the stories about the seven devils and the caravan road as a bit like a medieval cycle of related tales. I intended that you-the-reader could come in at any point, hopefully find your feet in the world, and as you read further, make connections between characters and events. Or you could read the stories in order of internal chronology, and let it unfold that way. (I did the same thing with my Torrie children’s fantasy series — except those ones weren’t even written or published in chronological order.) In the caravan road books, each (and also the short story “The Storyteller” which I wrote after Blackdog but which is set earlier) is meant to be something that can stand on its own. (The exception is the duology Marakand, which was published in two volumes as The Leopard and The Lady — you MUST read those two together and in their proper order because they tell a single story.) Whichever way you read them, each story is going to have roots and branches running off to the others. That’s all to say that although there are many overlapping characters between the books, and a common deep history underlying it all, it’s not a series telling a single story; nor is it a series focused on a single central character. The linking thread is actually the devil-bonded warrior Moth who, with the wer-bear Mikki at her side and the Gods-forged sword Lakkariss in her hand, wanders in and out of the official heroes’ stories. However, she’s not the central protagonist of any of them except “The Storyteller”. “The Storyteller” – Moth & Mikki, quite a long time before Blackdog begins. Gods of Nabban – Ahjvar & Ghu; Ivah. That said, it’s really a matter of personal taste and how you prefer to explore a new secondary world. Some people find it’s fine to start with whichever one first grabbed their attention and then go back and forward to the others; others prefer to start at the beginning and have the world and cosmology unfold with the chronological history. However, so long as you don’t make the mistake of trying to leap into The Lady without first reading The Leopard (in which case you will be missing half the story for certain), in the caravan road stories I hope that enough of what’s essential should be there in each book where it’s needed, and be there within the characters as you meet them even if it’s for the first time, so that you can start with whichever story first caught your imagination and work out from there. This entry was posted in Blackdog, Gods of Nabban, Marakand, Moth, The Lady, The Leopard, Writing and tagged caravan road, epic fantasy, fantasy, Gods of Nabban, heroic fantasy, reading order, series, silk road, Silk Road fantasy, standalone, sword and sorcery. Bookmark the permalink. 1 Response to Standalone or Series? Where does Gods of Nabban fit?